There are numerous ways how to make your laid-back style look polished and feminine by adding a unique haute-couture piece and bright accessories. Indeed, original accessories can really dress up a casual outfit. There are so many interesting additions you can try, starting from printed scarves, stunning sunglasses, statement earrings, to chunky bracelets, footwear, and bags. All these details will make you look dressy and professional. 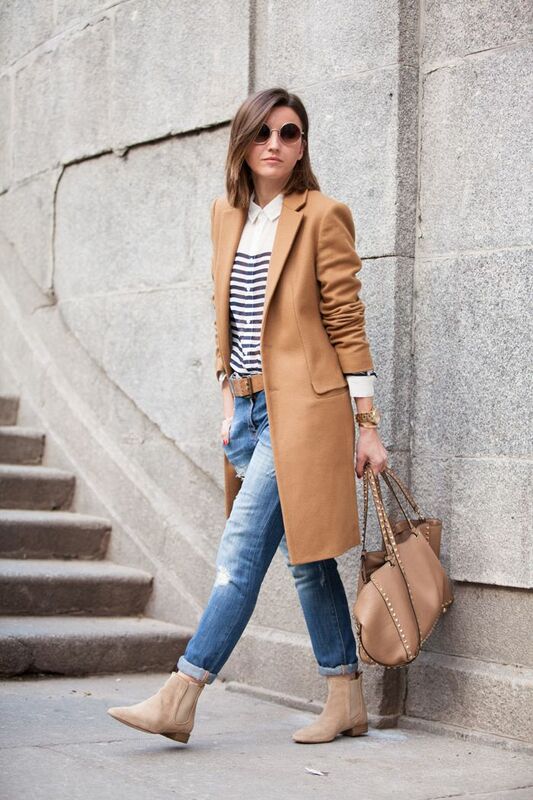 For example, your jeans and simple top look can be updated with a pair of bright colored pumps and sunnies. Accessories can instantly boost your casual looks. If you don’t want to complicate your outfit with accessories, then why don’t you add a structured blazer on. This piece will immediately dress up any casual outfit. For instance, try on tweed jacket atop your solid color tank styled with denim jeans. If you are not into blazers and suit jackets, then you can always play with your lovely classic button-up shirt. 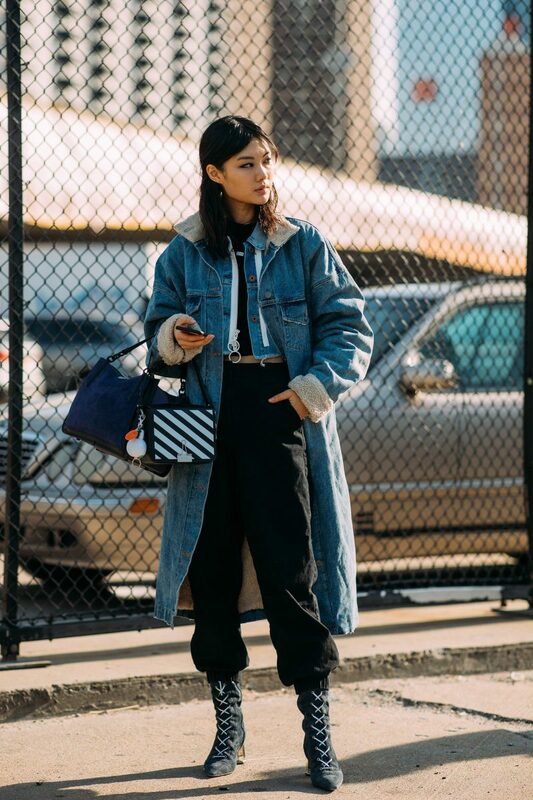 You can wear it with sneakers and distressed jeans for a simple walk on the streets. The same thing concerns your bottom garments. 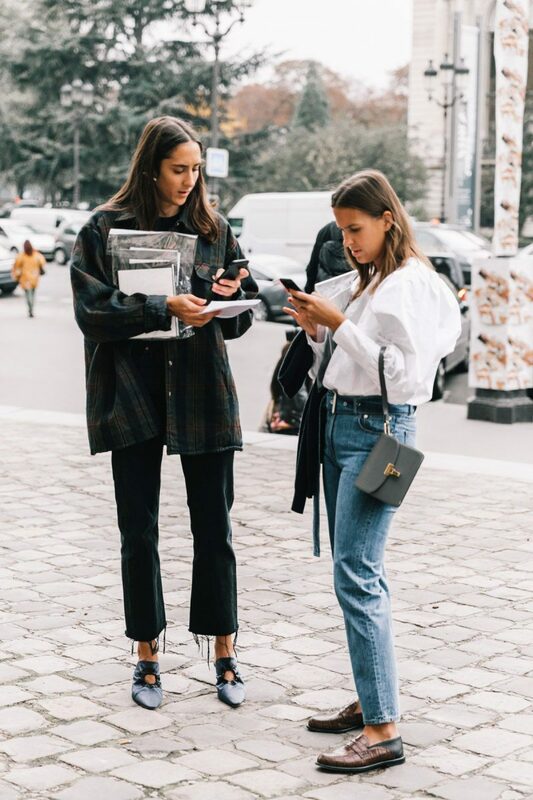 For example, try on tartan pants, leather trousers, culottes, floral skirts, flares or ripped jeans styled with casual tops. Sometimes you need to wear darker clothes in order to be noticed. How about wearing all black outfits for Summer. Here we see a totally black look consisting of a wide brim hat, halter neck flared sleeveless top, ankle length jogger pants and criss-cross slides. All you need is to use your imagination and play with proportion and textures. Personally, I love to dress up my casual outfits with big coats and jackets. 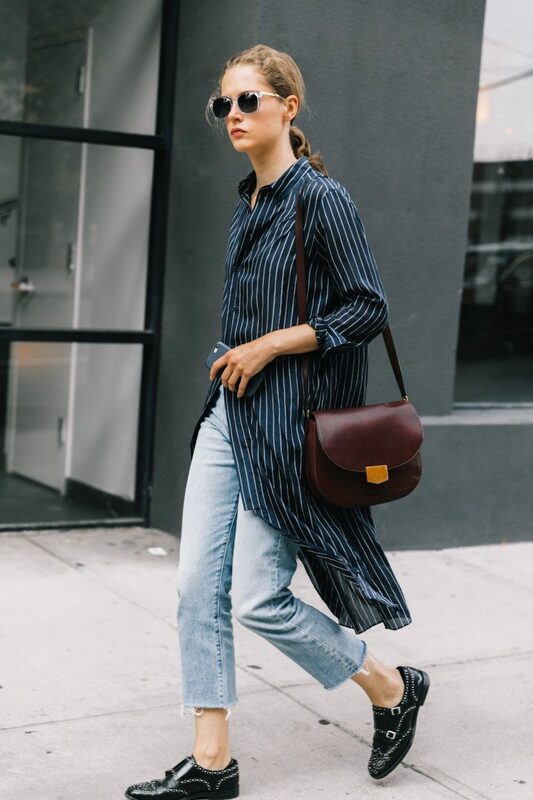 Just imagine yourself wearing a dark neutral color shirt and bottoms styled with leopard print coat or structured camel coat. Don’t be afraid of playing with prints. Use classic neutral color prints to create sophisticated looks. If you are more into fun outfits, then I suggest you try on creative and brightly colored prints. I love to see ladies who appear on the streets wearing striped tops teamed with plaid skirts.